The film is a stirring documentary, featuring Holocaust survivors recounting how their faith and trust in G‑d persevered despite living in a brutal and horrifying concentration camp. The study session to follow will be an interactive learning experience where participants get a chance to discuss how the Holocaust speaks to us today, why bad things happen to good people and how a person can have faith in G‑d despite living in the most horrific conditions. 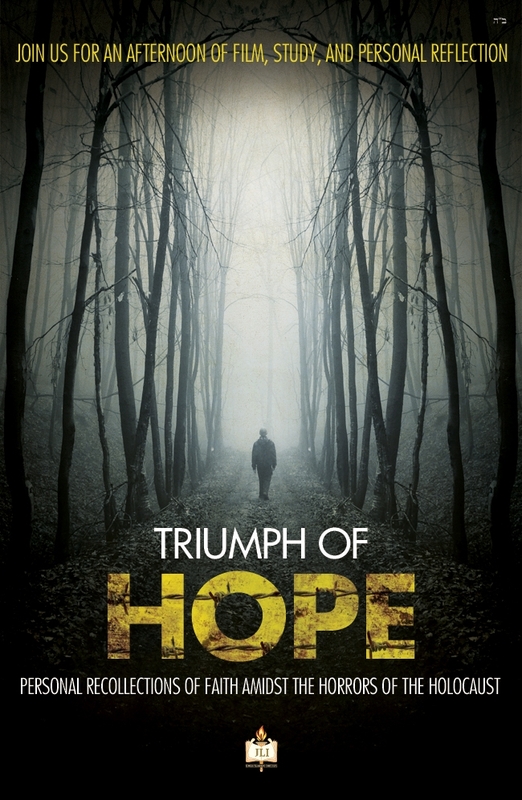 Like all JLI programs, Triumph of Hope: Personal Recollections of Faith Amidst the Horrors of the Holocaust, is designed to appeal to people at all levels of Jewish background, including those with little or no previous exposure to Jewish learning. Free, $10 suggested donation per person $18 per family.